The controversial trial follows months of discussion around its role within the walls of nursing homes, with consumers and industry sharing their thoughts, from clear support to objections for privacy reasons. The $500,000 Federal Government trial will run for 12-months across SA Health managed aged care facilities later this year. South Australian Premier Steven Marshall says the State Government is thrilled to deliver the pilot in partnership with audio-visual monitoring company, Care Protect following safety and adequate care concerns of residents in aged care facilities. “In the shadow of Oakden and the Commonwealth Aged Care Royal Commission, protecting South Australia’s most vulnerable is one of my Government’s highest priorities,” Premier Marshall says. Federal Minister for Senior Australians and Aged Care, Ken Wyatt AM is proud to support the trial and says it will help maintain confidence in the quality and safety of Australian aged care. “Covert filming by individuals has sadly exposed poor quality of care and malpractice in some aged care settings,” Minister Wyatt says. The trial will only be conducted with consenting residents and families. “The Care Protect technology can allow for personalised access rights, so different people can view different cameras,” State Minister for Health and Wellbeing, Stephen Wade says. “Relatives of residents, a unit manager, through to senior staff responsible for a group of units would only be able to monitor footage within a clear framework. He says SA Health will work closely with residents, families and staff to shape this important pilot. Chief Executive of Aged Rights Advocacy Service (ARAS) Carolanne Barkla says ARAS would only support cameras if they are used ethically, including the resident is given the choice and provided consent to have it in their room, ensure clear signage indicating that cameras are in use and there is an agreed process in the security, storage and viewing of footage. “ARAS acknowledges families/friends and the South Australian community is concerned about their loved one particularly when they are living with dementia and/or vulnerable,” she says. “There is a need to recognise the diverse population living in the approximately 16,000 aged care places across residential aged care facilities in South Australia that includes couples and the need to respect privacy. “The trial provides the opportunity to test assumptions including the benefits, unintended consequences, and evaluate the outcome of cameras. “It also provides an opportunity for community consultation including directly with residents who may be impacted by cameras,” she explains. Ms Barkla says ARAS believes abuse of any older South Australian is unacceptable no matter where they live, which is a key issue that is hoped to be addressed through the trial. Federal Secretary of the Australian Nursing and Midwifery Federation (ANMF), Annie Butler says turning to the use of surveillance cameras as the solution to the current problems in aged care is really ‘closing the door after the horse has bolted’. “We are not really protecting or caring for our elderly properly by discovering a problem after it has occurred. "We need to be implementing solutions, and urgently, that prevent all these problems and ensure safe and quality care for all. Ms Butler says aged care workforce issues need to be addressed in order to prevent elder abuse. “Chronic understaffing in residential aged care facilities continues to be a significant contributor to the problems we are seeing in in the sector and because nurses and care staff are under increasing workloads and undue pressures, residents aren’t getting the care they need. “We need to protect our elderly, we need to prevent problems and work to ensure quality care. "To do that we must have guaranteed appropriate staffing levels and skills mix with the capacity to deliver all aspects of the care their residents require. “Currently, without mandated minimum staffing levels and skills mix, residents remain at risk," she says. Care Protect has previously provided video and audio surveillance systems in United Kingdom residential care settings, but this is the first time the technology will be rolled out in Australia. Funded through the Commonwealth Dementia and Aged Care Services fund, the CCTV system detects excessive noise and movement and light changes and sends an alert to a reviewer who can view the footage within seconds of an event happening. The footage will be stored off-site in a highly secure web-based setting and monitored 24/7 by an independent team of highly experienced and qualified clinical experts. 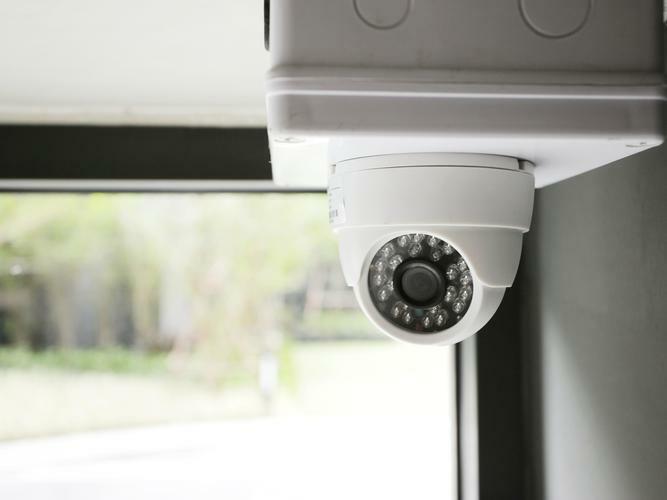 The outcomes of the pilot will help inform and guide the future use of CCTV technology in Australia’s aged care facilities.